Every property management company should offer tenant screening services for the owners of the properties they manage. When we list a property for rent on an annual rental term we also inform potential tenants that there is a rental application and application fee associated with renting the property. The information requested is for any adult tenant who will be responsible for the rental payments. 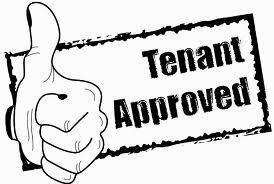 Individual information, previous rental history, credit history, background check, eviction history and employment verification are some of the items reviewed in the tenant screening process. We use a third party entity who specializes in this type of tenant screening for rental properties. The rental application fee paid by the tenant is $40.00 per person and goes toward the cost of the screening process. The actual time frame for compiling data and verifications can take a few minutes to a few days to process and receive back the written report. Once we receive the reports we review with the tenant and with the property owner. If an application is approved, then the lease documents can be written and signed by both parties. We find that property owners really appreciate the professional tenant screening process and it helps to make informed decisions regarding their rental investment property. For more information on property management services, please feel free to call our office at 863-647-1679 and speak to one of our agents.